Over a month ago, the folks that developed the Hipstamatic iPhone Camera app produced ‘Snap‘. An electronic magazine of photos and stories of very creative Hipstamatic using photographers. Sadly, the Newsstand on the iPhone doesn’t seem to find it to load, so the FREE magazine Snap is for the iPad only. 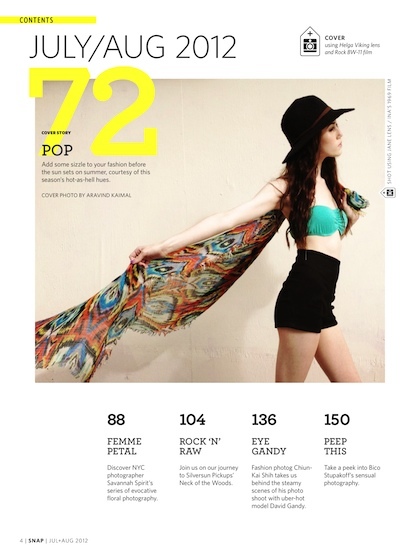 Each issue has many photos taken using the Hipstamatic app using the many films, filters and flashes available. The photos can be touched for more information regarding which of the many options was used to get the image as it appears in the magazine pages. There is also stories about photographers and their lives. Any subject can and is being covered so some coworkers may take offense, you may want view away from the crowds prior to doing flipping the pages in a crowd. That said, the photography is amazing. Snap does a great job of showing what can be done using the different options in Hipstamatic.